Are you thinking about buying a metal roof for your home or business? Choosing metal roofing is one of the safest and most economical ways to shelter your building. We have prepared this Q-and-A style article to address some of the most frequently asked questions. To make an informed decision, make sure your metal roof contractor quotes the full range of paint grades and gauges available. Stepping up to a premium grade typically adds very little to the overall metal roofing cost since installation is such a large component. In many cases, a few hundred dollars of installation cost can mean the difference between getting an unwarranted low-end grade or a premium grade with a Lifetime transferable warranty. 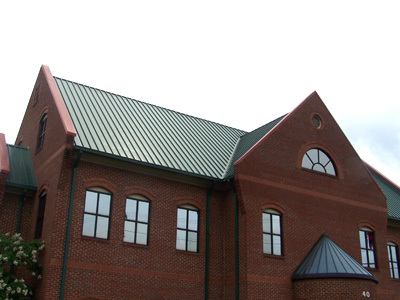 Using metal roofing is a smart choice – for your building, budget, and the environment. Benefits include better reflection of the heat from the sun, an ultra-long roof lifespan, and a clean, smooth, great looking finish to add to the value of your building. We’re experienced installers of metal roofing, and we’ll work with you every step of the way to make sure that the quality of your experience with us is unrivaled. Give us a call or contact us online today to discuss the best options for you! Thinking metal roofs will be noisy is one of the most common misconceptions about metal roofing. People who’ve been in barns or other structures where the metal roofing is visible from the interior can recall the “pinging” noise that rain makes when it hits the metal roof. In these applications, the metal has been installed without a solid roof deck, so there is no dampening effect when the raindrops contact the metal roof. In residential applications, and many commercial applications, metal roofing is installed over a solid plywood deck, just like shingles are. When installed this way, metal roofing is no noisier than shingles. A metal roof has no greater chance of being hit by lightning than any other type of roof. Lightning typically targets the highest point in a given area, regardless of material. In the event that your roof is struck by lightning, a metal roof can actually help prevent damage by dissipating the electrical charge and by its being made of a non-combustible material. What does “gauge” of the metal mean? Gauge is a measure of the thickness of the metal. It is important to note that the metal increases in thickness as the gauge number decreases. 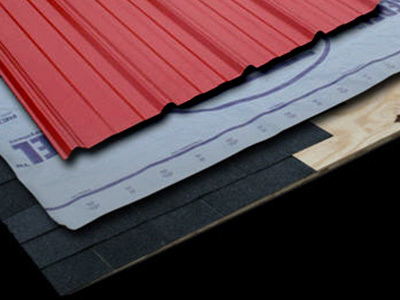 We offer several gauge options for metal roofing, the thinnest being 29 and the thickest being 24. For most residential applications, 29 gauge is the standard, while 26 gauge is mostly used for commercial installations. The heavy duty 24 gauge metal roofing is recommended for those areas with severe weather, high winds, or hail. It is also important to note that many insurance companies will charge lower premiums for dwellings with metal roofs, and more especially for those with thicker gauges that are more hail and wind resistant. For your application, it would be prudent to consider the trade-off between the increased cost for heavier gauge metal and the decreased cost for your insurance premium before deciding which to use. Will my existing roof have to be removed? Because metal roofing is so lightweight relative to its strength, it can often be installed over existing roof materials, unless the underlying roof deck is in need of repair. It is very common for metal roofs to be installed directly on top of asphalt shingles, with nothing but a layer of roof underlayment between them to prevent scratching, which would lead to corrosion. This saves on labor costs and disposal cost for stripping the old roof, not to mention reducing landfill waste. Local building codes and the condition of your current roof’s substructure will ultimately determine if you can install in this manner. What styles of metal are available for my roof? Two styles of roof panels are most common: corrugated and standing seam. Until recently, corrugated or ‘sheet’ style panels were the standard for residential applications, while standing seam style panels were used principally for commercial structures. Homes are now also being surfaced with standing seam, as its availability and price point improve. Click here to see available corrugated and standing seam profiles. Many other styles of metal roofing also exist which are made to look exactly like common roofing materials such as asphalt shingles, cedar shake, clay tile or slate. 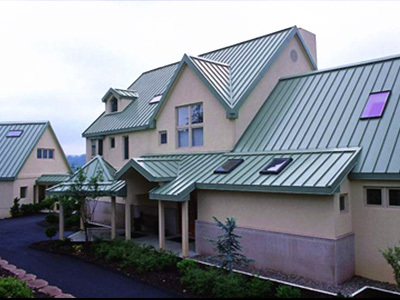 With metal roofing’s wide variety of new styles, colors and patterns – there’s certain to be a style and finish to match your needs. Which style of roof panel is best to use? Either style, corrugated or standing seam, is a good choice for your residential or commercial construction project. The major difference is in the method used to attach the panels to the roof deck. The corrugated “sheet” style of roofs typically has horizontal seams and exposed “through” fasteners. Standing seam products typically have no horizontal seams, as well as concealed fasteners and fasteners which go through clips rather than the panels themselves, in order to allow for expansion and contraction of the metal. 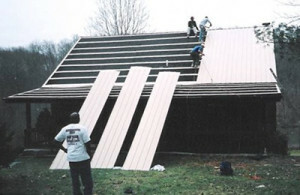 The labor cost to install standing seam is somewhat higher due to this more complex process. Will a metal roof discolor or rust? Just as important, the paint systems for the roof panels have outstanding resistance to fading, chalking, and cracking under the most stringent conditions and come with a 40 year paint warranty. These paint systems use cutting edge technology and inorganic pigments to provide the maximum protection against harmful UV rays. Beware of metal roofing that is not MCA-certified, as it could be made with inferior steel and paint systems. Many metal roofing companies will advertise a paint warranty, but the underlying metal will not be warranted against corrosion. Be sure to ask about base metal and paint warranties before you buy. Can ‘dips’ in my existing roof be corrected? Roofs that have a lot of swag due to uneven settling and warping of the framing members can be realigned prior to installation of new metal by overlaying the existing roofing with battens. This process will straighten up the roofline considerably and it will allow for more airflow and keep your attic cooler. Since metal is a premium upgrade, you can expect to pay more up-front than you would for a quality asphalt shingle. However, over the life of the roof, using metal can save you 60% or more in total installation and maintenance costs (when compared to the costs of asphalt shingles). In summer months, metal roofs with ENERGY STAR® coatings can reduce your cooling costs by as much as 50% and metal roofs typically last 30 to 40 years, whereas shingle roofs require much more frequent replacement. Most metal roofs last 3 to 4 times longer than an asphalt shingle roof. As with most roofing options, installation is a large percentage of the total roof cost, but varies widely depending on the size, pitch and complexity of the particular job. Depending on the type and gauge of metal roof purchased, the total installed cost can vary from $400 to $1100 per square. A square is equal to 100 square feet and is the measurement that is used to determine the size of your roof.